If you are a high school student in search of a job, the idea of writing a resume can be intimidating, probably because you don’t have any work experience. This makes the prospect of writing the resume harder than bagging the job. The best way to go about this is to read through a lot of sample resumes and read up on what to include, remove and format your resume. A resume is typically a one-page document that showcases a summary of your experience, skill set as well as other relevant information. The objective is to present yourself as the best candidate for the position that you wish to occupy. It should, therefore, be professional, formal, and relevant. You may not know it, but you may have more information to make use of on your resume than you think. Have you done any jobs like lawn mowing, babysitting, volunteering in community projects, or working at a mechanic’s workshop? These are experiences that could be relevant to the job that you are applying for. 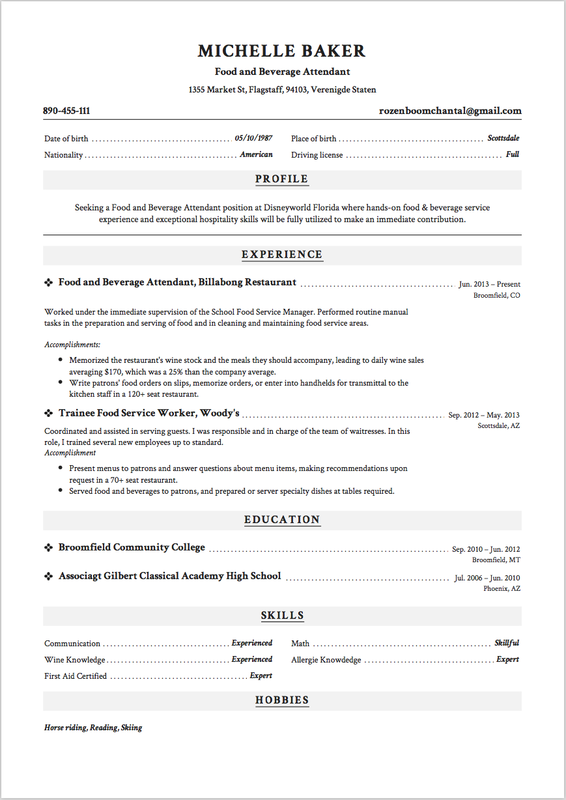 Resumes allow prospective employers to have an insight about applicants and this may lead to them inviting such candidates for a job interview. Checking out your high school resume will help recruiters to determine if you have the right qualifications and experience for the job. This is why you must make sure that high school resume is well-crafted and stand you out from other entry-level resumes. There are three resume formats that you can make use of: combination, chronological and functional formats. 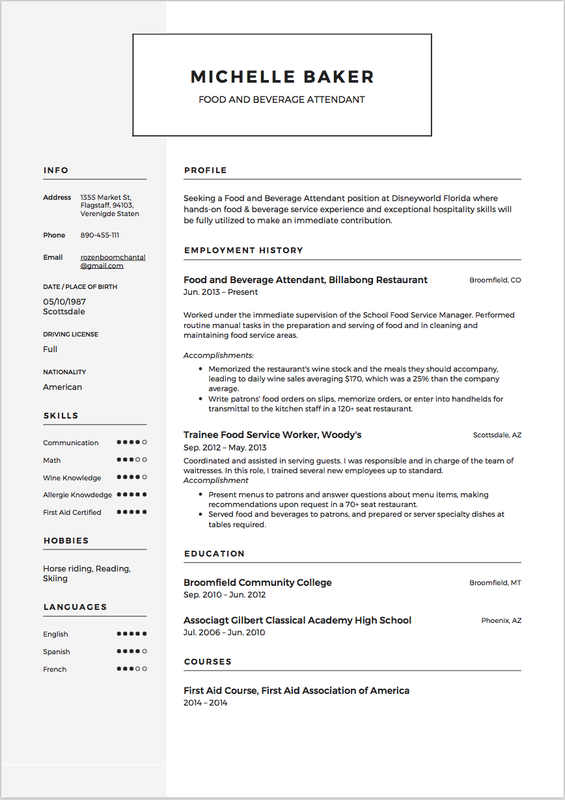 You can use any of these templates for your high school resume. It is important, therefore, to familiarize yourself with each one and then select your best choice. sequential order and not near the top. Combination resume format provides a perfect balance between promoting your work history and your skill set. If you have some work experience that is remarkable but short, then this resume format is the best for you since it allows you to flaunt your job history. You will also be able to take advantage of the resume estate by filling up more space with details of your skill set and other information. However, you need to be careful so as not to go overboard when filling in information about yourself. You need to ensure that your combination resume is not full of fluff or irrelevant information. 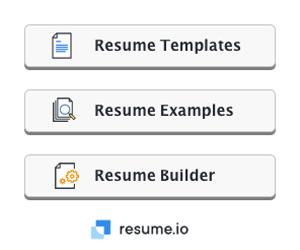 This is the most common type of resume formats. You can list your work history starting from your most recent job position. Chronological resume format is regularly headed by a ‘Career Objective’ section. You can also list your educational background in reverse chronological order by starting from the most recent school that you attended or relevant training courses that you have taken. Employers or recruiters find it easy to scan resumes that use the chronological format since it allows them to get apprised of your work experience. 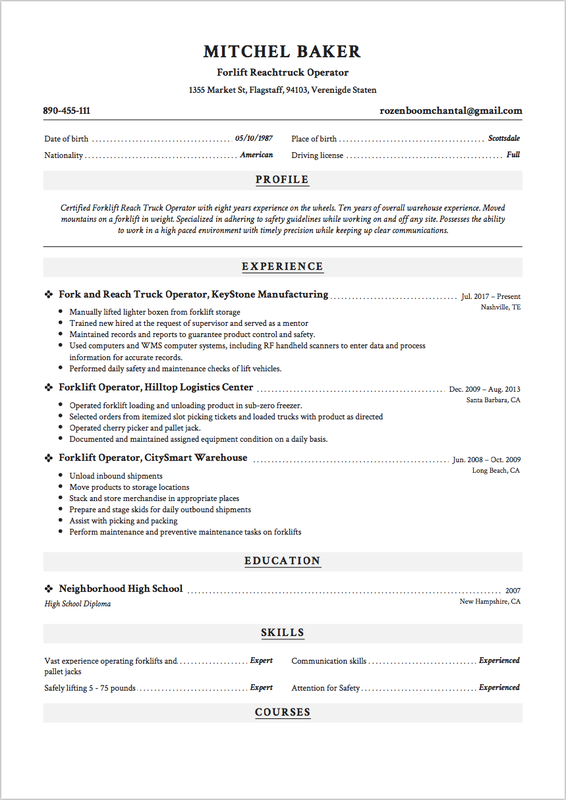 Since this type of resume draws attention to your work history, it is the best option for you if you have enjoyed an excellent job experience. On the other hand, if your work history is not relevant to the job that you are applying for or if your work history is not much, then the chronological resume format may not be the best for you. Recruiters will trash your resume once they see that your work experience is not the type that they are looking for. This kind of resume format showcases other sections like activities and skills above work experience. It is all about highlighting what you can do or what you know as against what you have done at particular jobs. 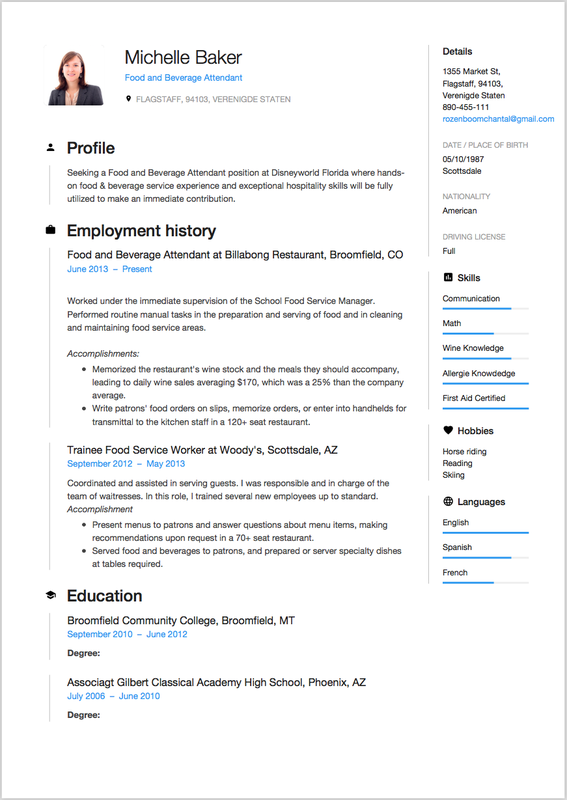 Functional resumes also have one form of work history section or another, but it is usually positioned at the bottom of the page instead of at the top. You may not list your work history in chronological order, and it may not even make use of dates. Rather, it’s all about listing your relevance to the job that you are applying for. 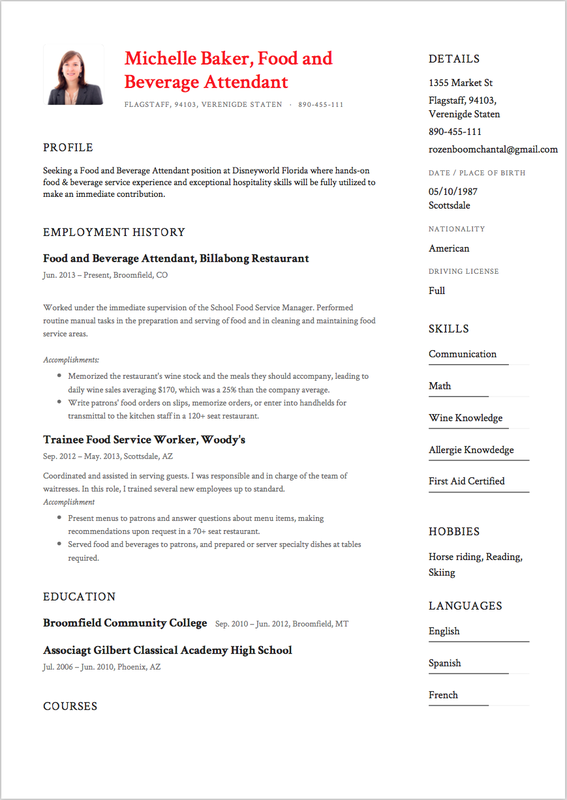 Functional resumes are the best for individuals with little or no work experience. It highlights your activities and skills while hiding any long gaps between any job you may have held in the past. However, since hiring managers are more conversant with the chronological resume format, they will quickly understand why you chose this format although that does not imply that you may not be a suitable candidate for the job. 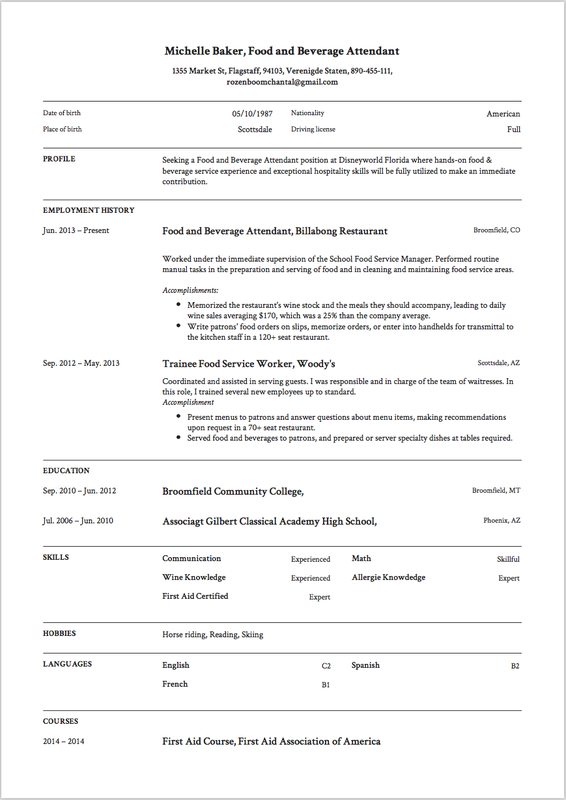 Although the resume sample states a higher level of education than a high schooler, the same format and layout apply to this group. The sample resume is made with paid resume builder. We do get commision for recommending this web tool. I. Your resume must contain your name and contact details i.e. your name, phone number, email address and town/city at the top of your resume. Stating your street address is not a must, but you can include it if you want to. Each of the sections listed above will comprise a heading using a large font or in bold letters, and other details under that section will then follow. Take note that it is not mandatory for you to use all the headings listed above. Select the headings that are relevant to the job that you are applying for. Work history – Since this is a high school resume, this could be a bit of a problem since you may not have held any job before this period. Nevertheless, it’s possible to leave out this section and pay more attention to the other parts. But if you do have work experience, then, by all means, mention it here. Using bullet points, list the name of the organization that you worked for as well as your responsibilities or duties, and your accomplishments. Educational background – Or just ‘Education,’ if you will. Here, you can state the high school that you attended or still attend presently, and the years you spent there. You can also indicate the expected date of graduation. This is also the ideal section to mention any training courses that you have taken that is relevant to the job you are applying for as well as your plans for your education. Career Objective – This section highlights the type of job that you are interested in and looking for. Just a sentence or two will suffice near the top of your resume, describing your preferred job. At times, career objectives are extended and become a summary. A summary is a brief paragraph that condenses your vital skills and experience. It allows you to describe yourself as well as your goals, and this information can be helpful to your prospective employers. It allows you to cover up your lack of work history (if you have never held a job before) while letting recruiters know that you have what it takes to do the job. Skills – This could be professional or otherwise, but must be relevant to the job you are applying for. This section also covers up your lack of work experience as it gives you the chance to demonstrate your capability for the job. The skills you have may not be professionally earned; you can mention that you have skills like the ability to work under pressure and without supervision, creativity, problem-solving, leadership qualities, adaptability, etc. Activities – This section gives a peek into your interests and character and may include extracurricular activities or clubs that you have been part of. If you are a sportsperson or are interested in things that have to do with culture and the community, mention them here. Make sure to include the dates of such activities as well. Hobbies and other interests – Although similar to the ‘Activities’ section, it allows you to create a list of your hobbies and gives more insight into your character. Notable Achievements and Awards – If you have earned any awards or achieved a particular milestone in your activities, mention them in this section. Potential employers love to see examples of hard work and commitment. References – This section has to do with mention that individual that can vouch for your skills and knowledge and who is also in the best position to confirm your work history. Good references could be your coaches/teachers, former employers, etc. You should not list your family or friends unless you worked for them. Remember to ask the person you want to serve as your reference before listing their names and contact information on the resume.Check other high school resumes online to see how it is done practically. 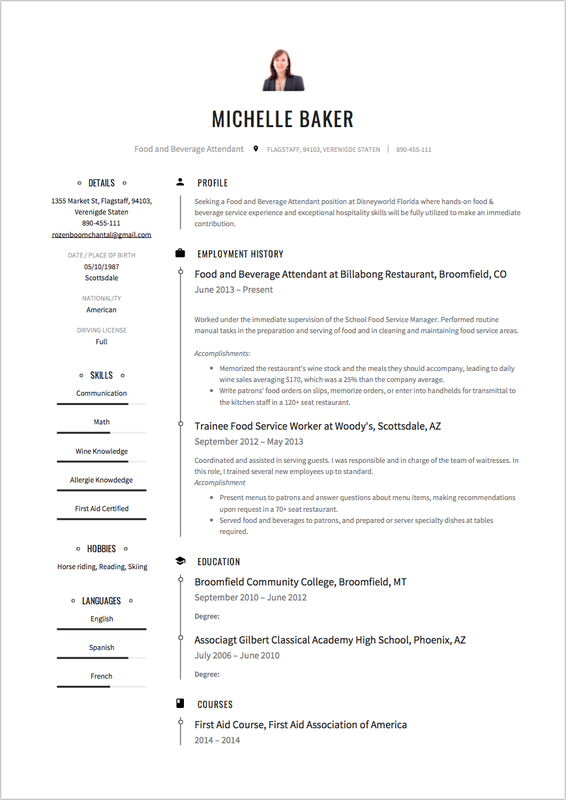 By clicking the image, you can download an image version of the resume sample. The designs are awesome. However, a MS Word version would be a better help. Great suggestions Matthew. We will start working on samples made in Microsoft Word, as we see that is what the majority of the visitors is looking for. Good luck with your job hunt!